Chrono Trigger is one of those games that the masses are pretty fanatical about. I've said for a long time now that it's one of the most timeless (no pun intended... much) games ever. I can pick the game up today and it would still be amazing. In fact it's more amazing the more I grow up and the more I understand about game design. It's one of the few oldschool games that, were it released today, I would happily pay full price for. Anyways, the point to all this is the game was released on Android yesterday. As a result I got into an interesting discussion over on Reddit about the fate of Chrono Trigger and the Chrono Franchise as a whole. So since I thought I would share some of my thoughts on the matter here. I suppose I shouldn't be too surprised, given how the internet works, that the very first comment I read in a thread about Chrono Trigger being released on Android was "why won't they give us a sequel?". Now I can't claim to see into the minds of Square Enix, but I see it like this. Chrono Trigger was made by what is essentially a dream team of JRPG makers. In fact it was quite literally dubbed the Dream Team. We had Hironobu Sakaguchi of Final Fantasy fame, Yuji Horii creator of Dragon Quest, Akira Toriyama creator of Dragonball, and last but by no means least, Yasunori Mitsuda who should require no introduction. So from the very start Chrono Trigger was unlikely to fail. More to the point however, when you have a team of this caliber you aren't really likely to ever be able to get that team together again. This is the first issue with extending the Chrono Franchise. What I think it really comes down to for Square Enix is measuring expectations versus reality. Try to think like Square Enix for a moment. The fact of the matter is that expectations for a Chrono sequel would be astronomically high. Quite possibly higher than can even reasonably be attained. So why even bother if there is a possibility a new game would mar the reputation of the franchise forever? The Chrono games represent this bastion of perfection, why chance ruining that when you can instead port it to every device known to man for almost no dev cost? Of course I would prefer they take the risk, but "risk" is not the way a big company like Squeenix stays profitable. Besides, we've seen what they have done to Final Fantasy in recent years. Do we really want that done to Chrono Trigger? The other issue that came up in the aforementioned Reddit thread was that of fan remakes and such. One person bemoaned the fact that Square Enix simply kept porting the game, "refuse" to make a remake, and halted a fan game from being made. I was a bit taken aback by this statement, honestly, especially the last part. I explained my thoughts on the porting nonsense above, but as for the fan remake... It really shouldn't be a surprise that a big company like Square Enix want's to protect their IP, especially a gem like Chrono Trigger. The argument was made that halting a fan remake is just taking something of worth out of the world. I don't disagree, but it's very much their right and even responsibility to protect their IPs. The world as a whole has probably gotten a bit too obsessed with the matter of Intellectual Property over the last several years, but it got that way for a reason. Think about it for a moment. 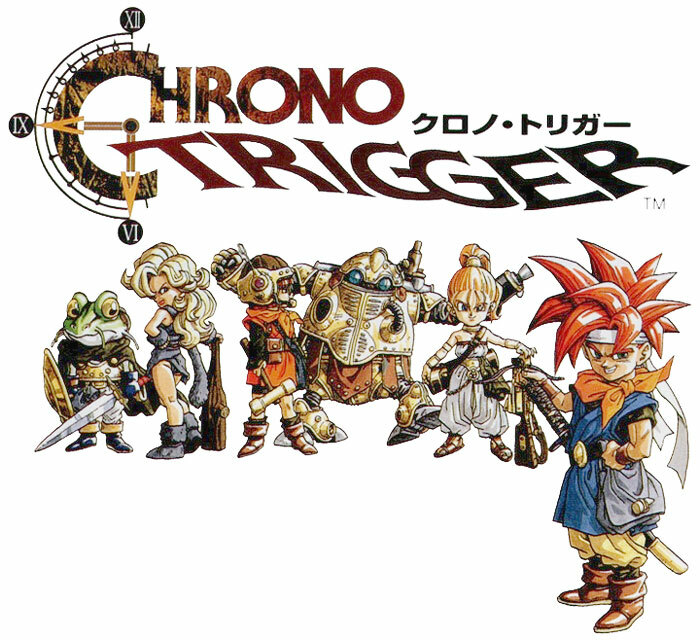 If there was a modern fan remake of Chrono Trigger, would you ever buy a Chrono Trigger port? Especially if the remake was free? That's taking money directly out of the pocket of Square Enix, even if the remake were to be free. More to the point, if there are free fan remakes out there, a publisher is less likely to consider investing money in a game in that genre. We can see evidence of this in current gaming, thanks to the rise of free to play. How does a $60 game compete with the likes of Team Fortress 2 or League of Legends? Sure some games do, but only the best of the best. Now I can't claim to feel too bad if Squeenix gets a little less cash from overpriced mobile ports. As someone who is hopefully going to be making games for a living in the near future, I can definitely see where they are coming from though. Developers have to protect their interests no matter how big or small they are. Some devs approach it in a different light, but that is their prerogative. If you look at a game like Black Mesa, I'm sure it's release served to boost sales of Valve's own Half Life titles and renew interest in Half Life 3 (which may or may not ever exist). Ultimately it's all a bit of a mess. I could also be completely wrong. Square Enix is a Japanese company after all, and who knows what they are thinking sometimes. In the end of the day I would love to see an official Chrono Trigger remake/sequel, but it probably won't ever happen at this point. On the flip side, I find myself not really caring all that much about a fan game. And yes I do realize Chrono Cross exists, but I tend to just ignore it honestly. 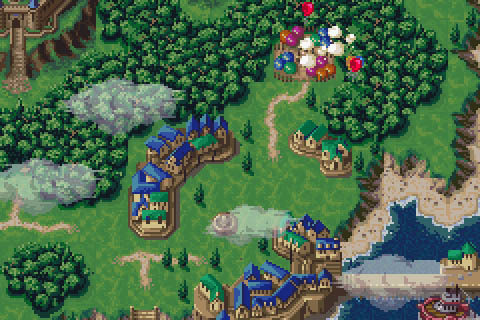 I don't think it's as good or timeless as Chrono Trigger. Anyways, hopefully this post made sense. I feel like I got all rambly and incoherent at the end, but thats the best I can do with this cold addled brain of mine. What Hero is Best Hero?